After a chilly, rainy night Saturday morning dawns damp and dim. As we head south from Golden, British Columbia the clouds are low and dense. For the first hour we drive at a much lower speed than normal to insure safe vision in the ever-changing foggy conditions. 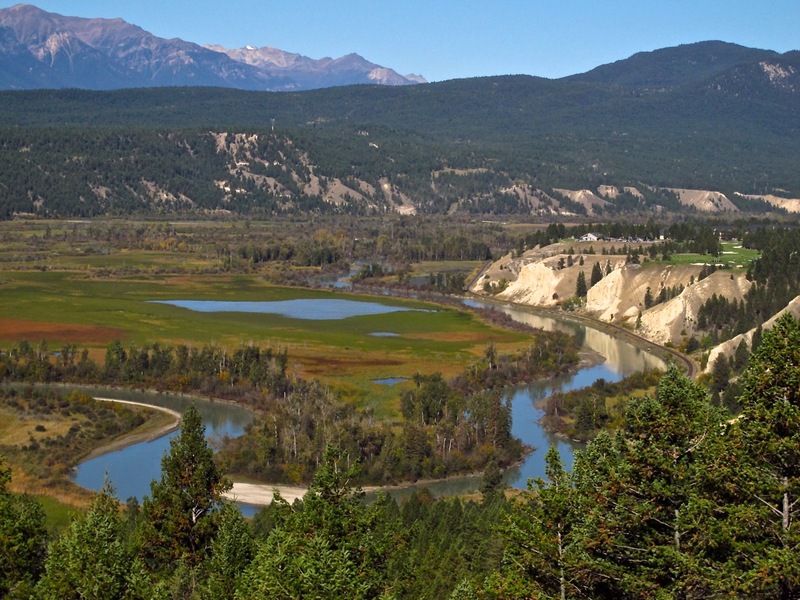 What we miss most are views of the rugged Canadian Rockies and the Purcell Range. By mid-morning the sun has done it’s job leaving only scant clouds in low lying areas. 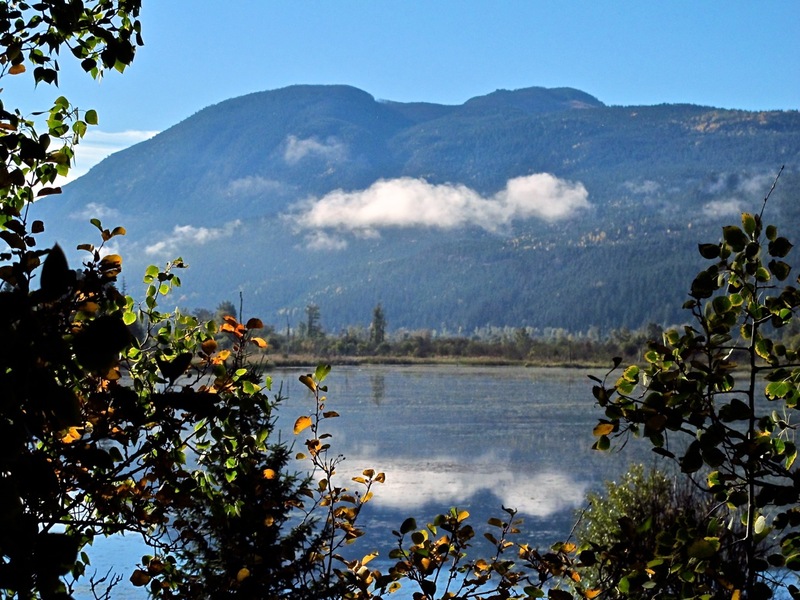 Our route takes us through the East Kootenays along lakes, the headwaters of the Columbia River and the Kootenay River. Lots of water and forest along the way. Radium Hot Springs buzzes with tourists and shoppers. We learn it’s the weekend of the annual Columbia Valley Classics Car Show & Shine with over 1,000 cars and trucks displayed at The Springs Golf Course. We bypass the show but from the stream of traffic headed into town see that the popular event draws a large following from Western Canada and the States. We cross the border back into the United States at Eastport, Idaho continuing south through Bonner Springs and Sandpoint to our destination – Coeur ‘Alene. The rest of the day is spent visiting with family and dinner at Moon Time where the roasted corn pasta salad is always at hit.